AzhwAr tells his heart “Let the celestial entities not serve him. You serve him, without any break”. nenjE! kalandhu naliyum kadum thuyarai malanga adiththu madippAn – AzhwAr tells his mind that all that it has to do is this, in order to drive away the cruel sin, which is troubling us by being together with us, so that we do not have to experience it. The sin has to be battered in such a way that it runs away, trembling. What is that, which has to be done? vilangal pOl thol mAlaik kEsavanai nAraNanai mAdhavanaich chol mAlai eppozhudhum sUttu – emperumAn is like a mountain which cannot be cracked; he is ancient [existing from time immemorial]; he is great and cannot be estimated by anyone; he has beautiful locks; he has the quality of motherly forbearance towards his devotees; he is the consort of SrI mahAlakshmi. Bedeck such emperumAn with garland made of words, which will not droop ever and which will always retain its fragrance. Can we, who are very low, approach such a great emperumAn and bedeck him with a garland? Since he is mAdhavan, who has SrI mahAlakshmi always on his chest and since he is nAraNan who has lot of affection towards his devotees, he will lower himself so that we can decorate him with the garland. 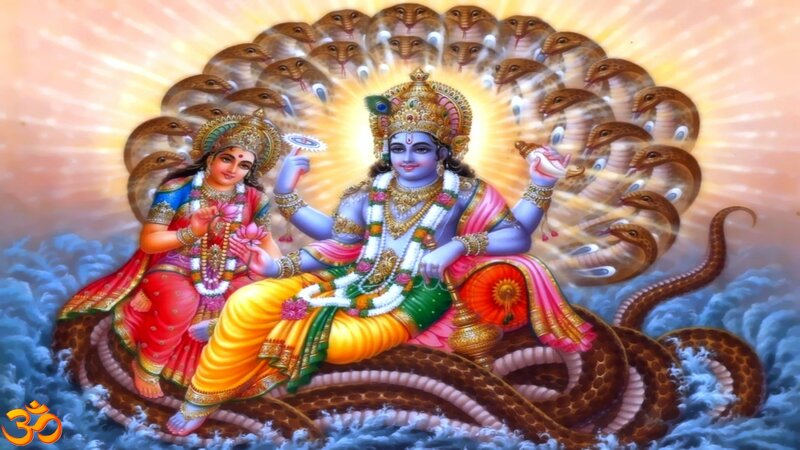 Since he has the cluster of sentient entities as his dwelling place, it is clear that nArAyaNan (one who has all the souls as his dwelling place) has motherly forbearance towards those entities. We will take up the 66th pAsuram next. This entry was posted in iyaRpA, periya thiruvandhAdhi on January 16, 2019 by T N Krishnan.